Mike Martin is an officer in the British SAS. At 38 years of age when the first recorded adventure takes place, he holds the rank of Major and has seen more than enough action to be considered a hardened veteran. He is still young enough, though, to think twice about passing some of the hard assignments handed him to juniors under his command. Martin is used to doing things himself and he likes it that way. It isn't really that he thinks he can do things better than his subordinates - it is just that it is not his natural inclination to pass the hard stuff to someone else. He is used to being the man to do it and it has become a habit. And the hard stuff is what the SAS gets. All the time. If the job is handed them it is usually because the people doing the handing cannot imagine any other group being able to pull it off. They usually cannot imagine anyone, even the SAS, getting it done but then doing the impossible is what the SAS is there for and since they routinely do it, there you are. Martin is the elder son of a British accountant working for an oil company in Iraq at the time he met and soon married a beautiful Indian stewardess. While Martin's younger brother would take after the father, short and stocky and ginger-haired, Martin possessed the genes of his mother and was "black-haired, dark-eyed, and olive-skinned" making operating in the Middle East seem almost natural for more than one friend of his parents remarked that he looked more like an Arab than he did a Brit. An eager but quite young eighteen-year old man just out of school when he applied for service with the British military, was accepted and soon became part of the vaunted Paratrooper Regiment which is where he has served off and on for the past 19 years when not assigned to the SAS. 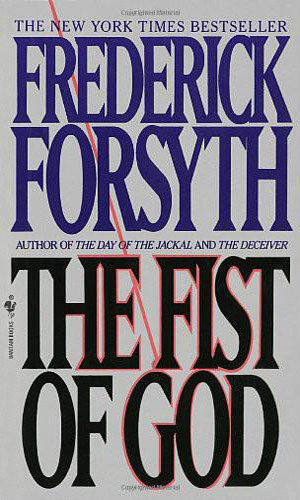 The Fist of God is Saddam Hussein's secret weapon, something whispered to be capable of massive killing. Major Mike Martin hears wisps of talk but proving its existence and defeating it will prove to be extremely deadly. Colonel Mike Martin is an expert at going undercover in the Middle East. He is asked to take the role of a Taliban leader to find out what is the big plot being mentioned by al Qaeda. 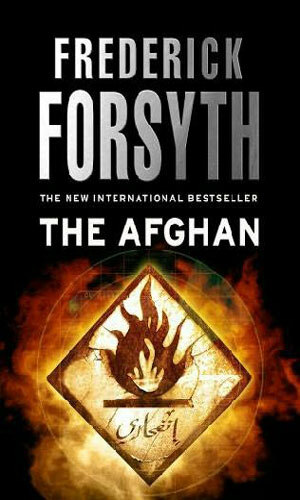 It does not require me to dub Mr. Forsyth a legend in the thriller genre. He has had that reputation, well earned through an impressive stable of terrific adventures, for several decades. His novels, it occurs to me, are all approached as stand-alone's, self-contained adventures that need nothing known about the character other than what the author divulges in that book's pages. Which is why he is not known for doing series. What the Mike Martin two books are is a pair of these stand-alone's, connected of course by the character but telling two separate adventures whose only link is the man doing them. You really do not need to have read the first book at all to enjoy the second's excitement and the end of the first book ends the story as far as that adventure is concerned - you do not need to immediately reach for the next one to get a resolution. Long-winded way of say both these books are great tales. They just happen to be about the same dude.